Phantasmat Insidious Dreams is ominous from the start. Incidents begin to happen upon your arrival at the farmhouse. This farmhouse, as you may suspect, is not bright and cheery. No cute little pigs or cows are there to greet you. Instead, a menacing thunderstorm is battering the house, and your husband has left you to secure it. The minute you get out of bed to fasten the shutters, you find clues that indicate things are not what they seem. Every time you collect an item, it adds another element to the mystery. After gathering a number of items and walking through the rooms, you begin to piece things together. There is a little bit of an urgency: I felt I had to hurry to find an object “or else.” I wasn’t quite sure what “or else” was, but I knew I really didn’t want to stick around to find out. This keeps the pace of the game moving. The ambiance of the game is great. It’s dark and creepy in this little farmhouse. Background noises like rumbling thunder and barking dogs add to the ominous feeling. The music is subtly spooky. It reminds me of a scary movie soundtrack, something you’d hear in The Sixth Sense. None of it is overly intrusive, it just adds to the game. There is a greenish cast over the farmhouse and the rooms you move through, and the lightning flashing outside also adds another eerie element to it. The colors are nice and bright, although due to the storm, some areas are appropriately gloomy. Eventually, ghosts slowly float by. These aren’t your cheesy floating sheets, but transparent people that gently move through doors or just stand in a corner looking at you. So delightfully creepy. 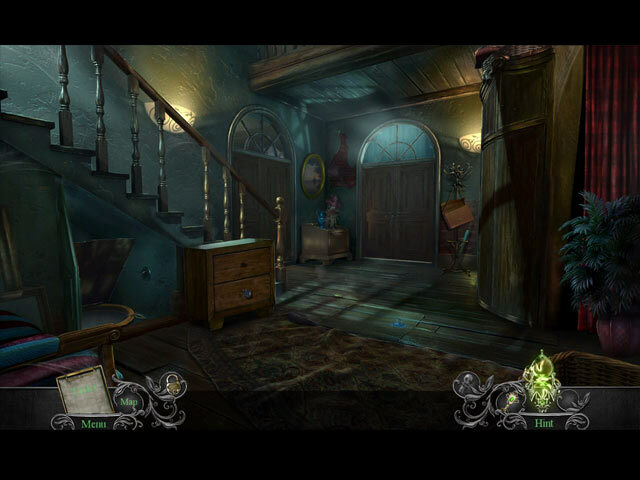 There are plenty of hidden object games and puzzles – some are easy, some are a little more difficult. You can use the hint button if you are stuck. If one is too difficult and you don’t want to spend too much time on it, you have the option to skip it. They’re all different and some are really creative and fun to play. They also have the same spooky theme – objects dissolve like sand and make a sinister noise when you find them. Here’s the thing: I’m not a fan of dolls, thanks to the horror movies I watched growing up. Movies like Anabelle make it so no one ever wants a doll in their house. Most of them are terrifying and give me heart palpitations. An object of this game is that you have to collect a good number (about 35) of them as you move through each room. All the dolls look devilishly different and very sinister. It doesn’t matter that you’re already dealing with ghosts in a haunted farmhouse. Now you have dolls. The graphics are great – they’re all pretty sharp and have a lot of detail. Because they’re well made, it makes you feel more like you’re in the room, as opposed to playing a game on your computer. Effects like the transparency of the ghosts are really well done. Additionally, close up shots really allow you to see all the detail of the graphics. 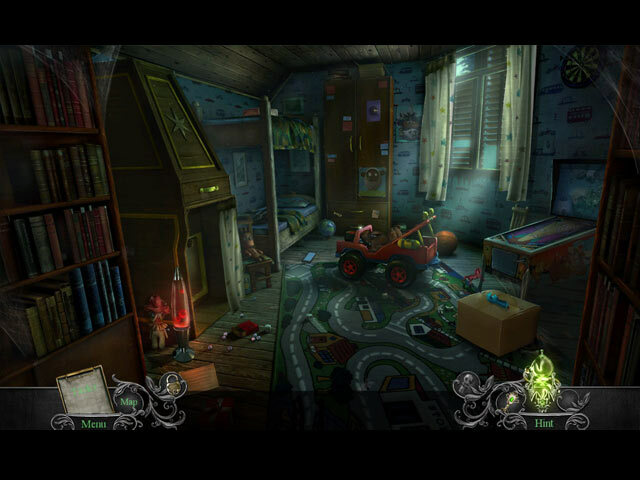 I really enjoyed playing Phantasmat Insidious Dreams. It’s delightfully creepy, filled with mystery, and a great escape for those who love a good mystery.